The entire book, including appendicies, is 159 pages, although the pages with color plates are not counted. Since I have a degree in biochemistry and have done graduate work in biology, I have the appropriate background to understand and interpret the technical data in this book. But still, I was surprised by the amount of actual data verses meaningful analysis. And many of the points are repeated in several chapters, giving the already thin volume an air of desperation to fill its pages. I did learn several interesting facts. 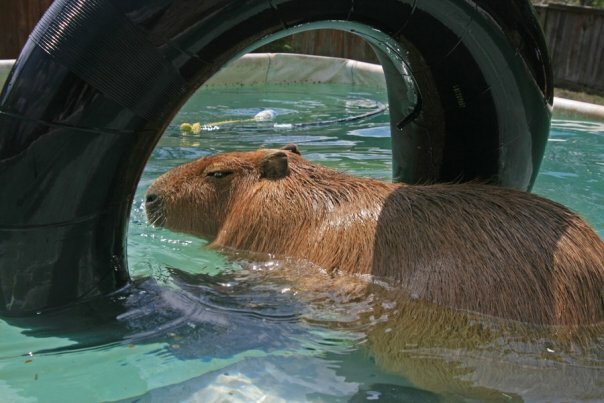 I learned that the smaller capybaras in Panama and Colombia are actually considered a separate species, making two capybara species rather than one. 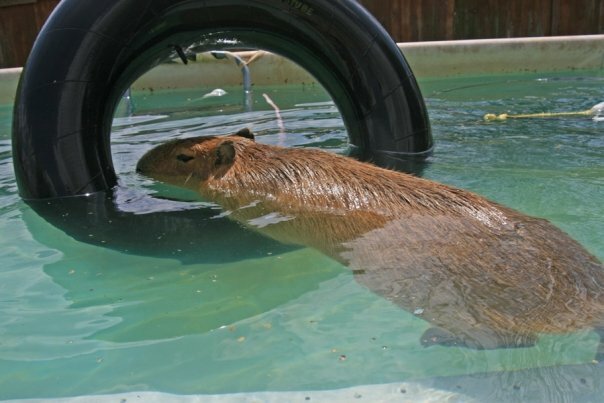 I also did not know the extent to which capybara populations have plummeted through most of their range due to overhunting. Some of the information on predation and disease was also interesting but much of the disease section was inconclusive and probably wouldn’t even be of much interest to a vet. 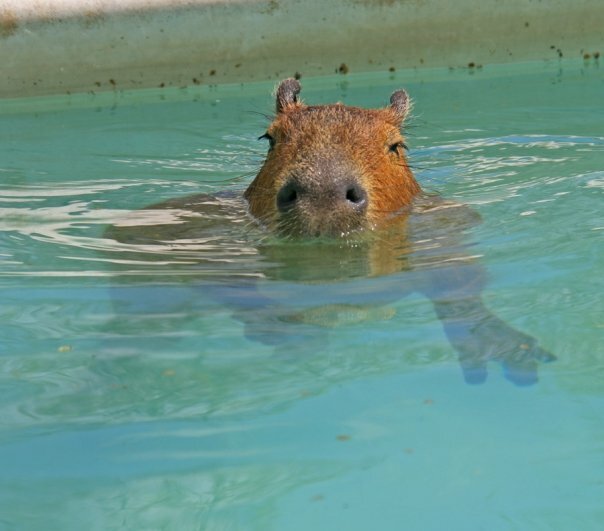 Much of the book focuses on capybara management in the llanos of Venezuela. 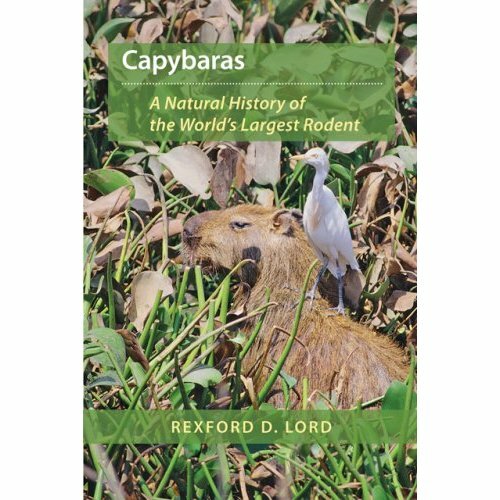 Of interest in these sections was the large number, and large percentage, of capybaras “harvested” each year. But most of this would be useful only to a rancher in that region. The photographs are interesting but not the striking images I would expect someone who had spent 10 years studying these animals to have taken. The cover photo is a good example of this. It’s not a bad photo but it is not a great one either. On the whole, the book was a bit of a disappointment, especially as there is so little information about these animals available. Reading this book made me so glad I am a pet capybara and not one living in the wild or on a ranch. 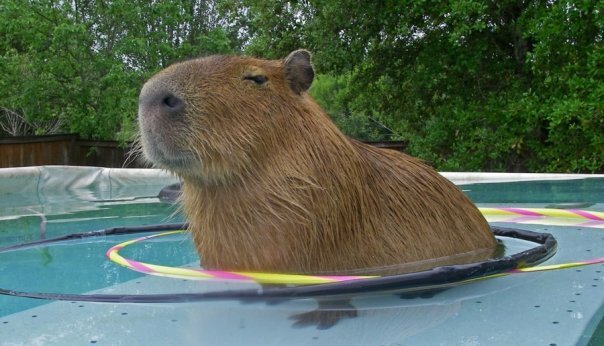 Apparently, the life expectancy of a capybara on an Hato in Venezuela is only 1.5 years! 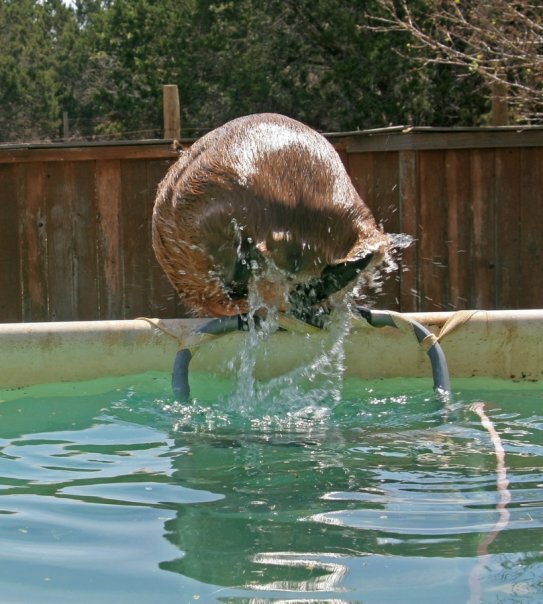 And those are the capybaras that have it easy! The photograph of a baby capy being sprited away by a caracara was especially disturbing. 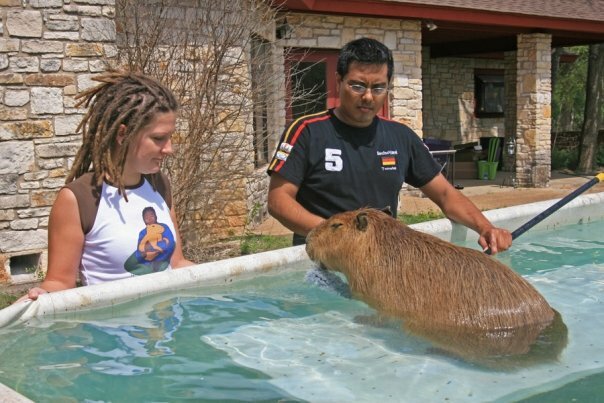 And the story about a male capybara randomly picking up a baby with his teeth and killing it! How horrible is that? He did cover some of our nicer aspects though. 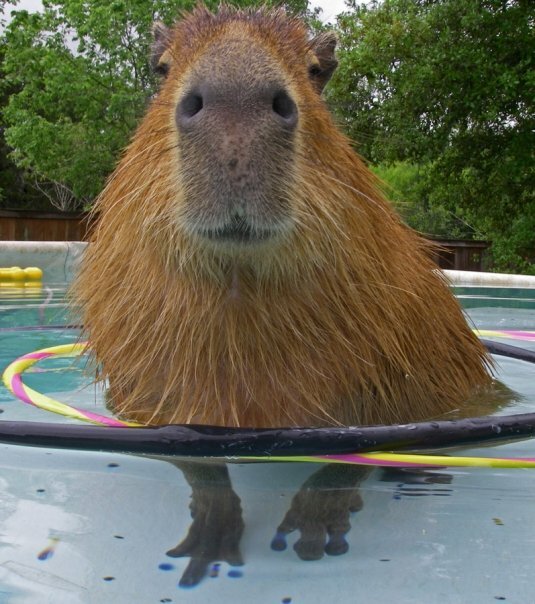 Mother capybaras will nurse any young in their band, not just their own babies. 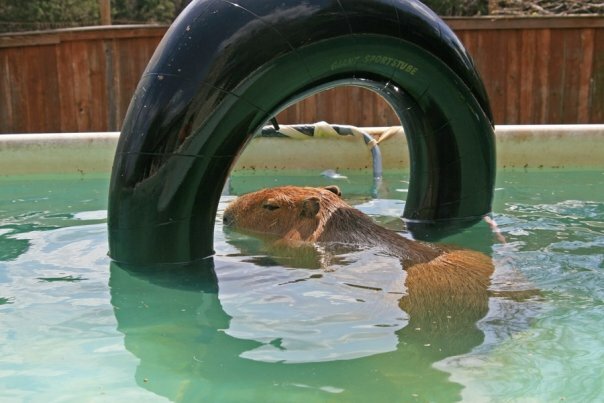 Capybaras form a protective circle around the young to protect them when threatened. And he mentioned what excellent swimmers we are. I didn’t even bother to look at any of the charts ortables of data though. That stuff bores me. I have to rely on my owner to tell me if there’s anything important there.